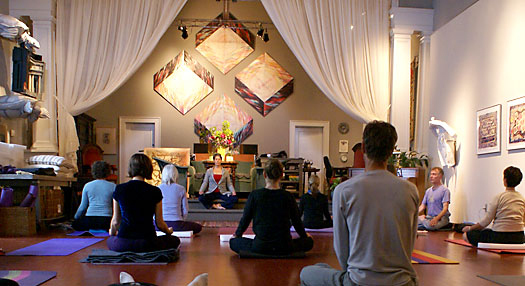 Karen Guzak opened the studio in 2003 to provide a beautiful and welcoming place for the practice of yoga. In 2012, Elizabeth Gray joined the circle as a teacher. The studio features a cork floor and is fully equipped with blankets, bolsters, blocks, and straps. As well as, a small kitchen, gift shop, and a lending library is available to enhance your yoga studies. Yoga practice in the AngelArmsWorks Studio. 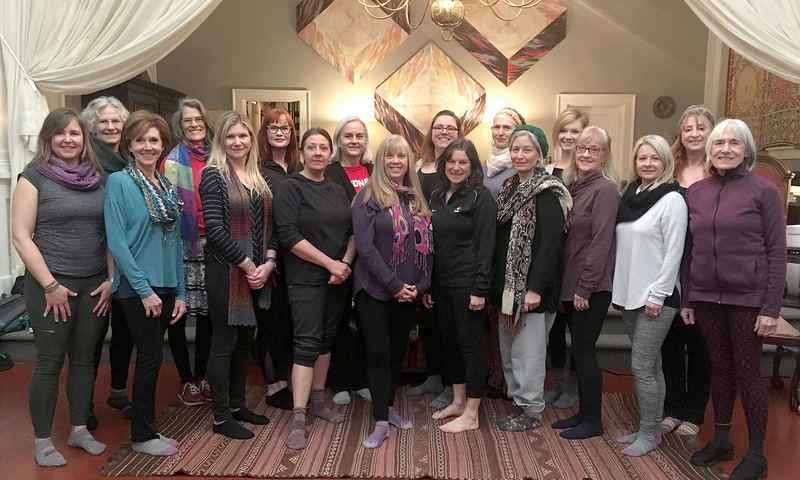 Training will take place in two locations: Primary in the studio at 707 Pine Avenue and, secondarily at Karen’s art studio called AngelArmsWorks as it’s in a renovated church located at 230 Avenue B, corner of Third and Avenue B — a 15 minute walk away, in the Historic District of Snohomish. 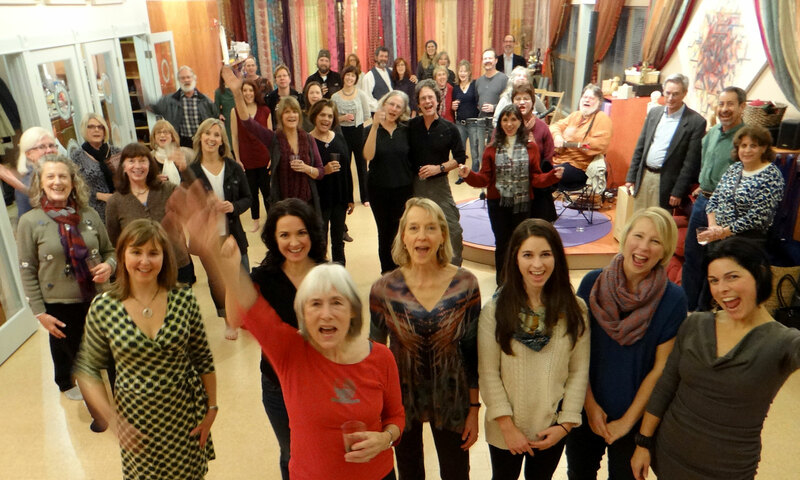 Karen and Elizabeth encourage a visit, perhaps take a class which is the best way to enjoy the studio. They welcome your questions.